But I’ve started to get excited again, because I have discovered a lovely new website that has absolutely lovely jewelry that doesn’t make me feel like I’m 18 again. Silver Loops is a website designed to sell beautiful and quality jewelry at affordable prices. It’s jewelry that is affordable without looking cheap. I spent some time looking over the website, and found several pieces that I absolutely loved. 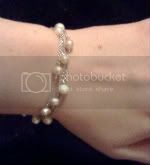 But my favorite piece, and the one that I tried, is this simple but lovely pearl strand bracelet. I love this bracelet. Like, a lot. I find myself planning outfits specifically so that I can wear it, something I’ve never done before. I get complimented on it almost every time I wear it and I love that it is so simple, yet so lovely. Ashley loves reading, spending time with awesome people and writing with Sharpie products. She can most often be found on Twitter (@BasicallyBooks) extolling the the virtues of authors she loves and lamenting the amount of stupidity in the world. But she thinks you're awesome. The CZ Circle and Diamond Link Bracelet is my favorite item. I like the Designer Inspired Beveled Edge Pearl Clover Necklace. I really like the Turquoise Square Earrings. The Pink CZ Threaded Earrings are really pretty. love the Mini Heart Earrings! 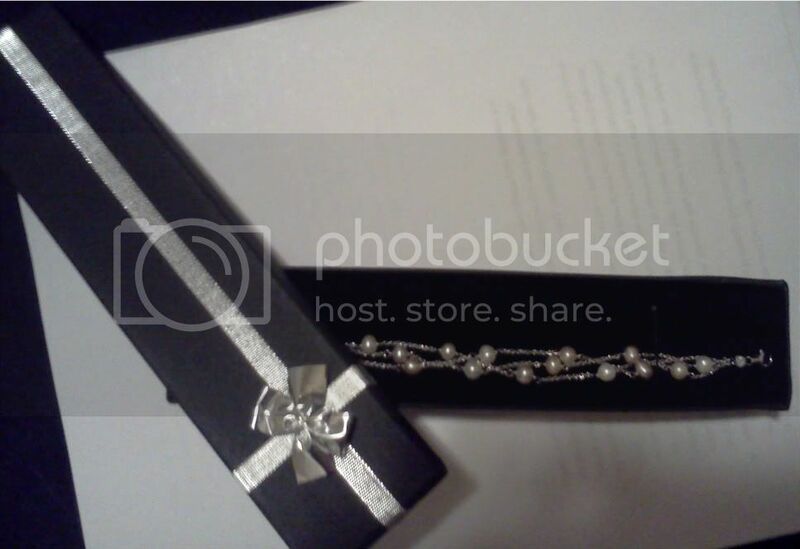 I like the triple strand freshwater pearl bracelet. I like the tri-tone heart necklace! i do like the CZ Lace Two-Tone Flower Earrings. My , I do have expensive taste. My favorite item is the CZ Circle and Diamond Link Bracelet. i like theSterling silver butterfly flower pendant with dangling multi colored cz.. I like the Designer Inspired Beveled Edge Pearl Clover Necklace–although they need to upgrade their site so that viewers can get a better look at items. Even the larger photo was really inadequate. I love the Tri Tone Heart Necklace! The twisted square necklace is beautiful. i love the Tri-Tone Heart Earrings! I like the Mini Heart Earrings. I like the Two Toned Heart Charm Bracelet. i like the twisted square earrings. I like the CZ Double Rose Mother of Pearl Earrings! Love the Two-tone sterling silver and cz pendant on two-tone chain. I like the Vermeil plated beveled edge turquoise flower earrings. The Designer Inspired Beveled Edge Turquoise Clover Necklace looks very nice!